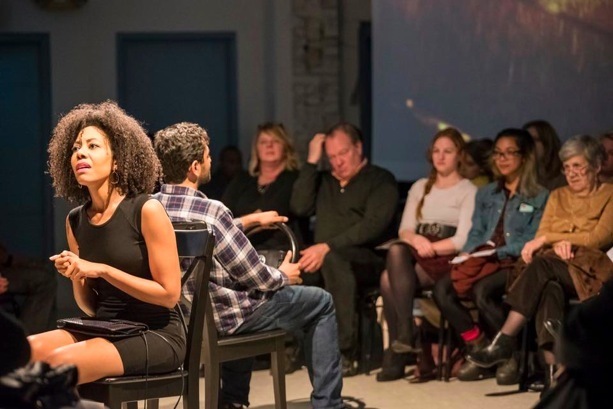 Commissioned by the New Black Fest for Un-Tamed: Hair Body Attitude — Short Plays by Black Women, and co-curated by Dominique Morisseau, Lenelle Moïse’s San Francisco Cab is a ten minute play about a late-night taxi ride from hell. Photo by Tyrone Eaton. Nedra McClyde as Lu in San Francisco Cab at Center Stage.